Corporate membership is vital to our organization. Our Commandant Sponsors are listed below. Working with large and small corporations or municipalities, ACV Enviro brings the latest technology and state-of-the-art equipment to every job for nearly 40 years. From ultra-high-pressure hydroblasting and light general construction, to hazardous waste transportation and disposal, ACV Enviro has built its reputation as a leader and innovator in helping solve many of America’s toughest industrial waste problems. Established in 1945, we’re proud to be in the business for over 70 years. 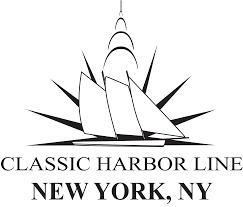 Classic Harbor Line Boat Tours are operated out of NYC & Brooklyn NY, Boston MA, Newport RI, Key West FL. Sunset Sails, Harbor Cruises, Architecture Tours. Robinson & Son, LLC is an independent insurance agency that began operations in 2005. Our producers endeavor to learn and understand a client’s business model, operations, and potential exposure to loss. We believe that it is important to periodically meet face to face with our clients to establish and maintain long-term business relationships. By doing so, we can more effectively advise you on Risk Management and Insurance solutions. We are a private family owned company, but regularly compete with large regional and global insurance brokers. In order to differentiate ourselves from our competition, we focus on developing creative solutions for our clients and providing effective service. American Steamship Owners Mutual Protection and Indemnity Association, Inc. (the American Club) was established in New York in 1917. It is the only mutual Protection and Indemnity Club domiciled in the United States – indeed, in the entire Americas. Offering the widest choice of marine insurance covers … Maritime Labour Convention. The Boards of all the Clubs in the International Group (IG) have decided that Clubs should provide the necessary certification on the terms set out in the MLC Extension Clause 2016. McAllister Towing & Transportation is celebrating 150 years in marine transportation. We operate a fleet of more than 75 tugboats, crew boats and barges in 17 locations along the U.S. East Coast from Portland, ME to San Juan, PR. The fleet of over 270,000 H.P. consists of: 28 Z-Drive/ Tractor tugs, 11 Tier II compliant tugs, 20 plus vessels involved in coastal towing and 35 ABS load line classed vessels. In each port, McAllister is engaged in ship docking (servicing more than 1,000 steamship companies), general harbor towing, coastal towing and bulk transportation. As we welcome 3 new Z-Drive/ Tractor tugs to our fleet, we continue the McAllister family tradition of being an innovative force in marine transportation. With a combined circulation of more than 7,500, and a readership of more than 40,000, Cruise Industry News (CIN) covers all the cruise lines, shipyards and other key decision-makers. CIN publications are read by the decision makers at all the cruise lines and aboard the ships; and by shipyard executives, marine engineers, naval architects, and ship designers. 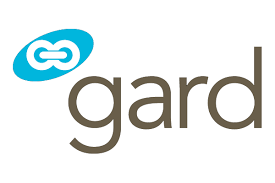 These individuals are responsible for new buildings and refurbishment; machinery, marine equipment, outfitting, furnishings, service and maintenance, itineraries, ports of call, shore excursions, food and beverage, galley and food service equipment, other marine, hotel and passenger products and services. Make your visit to the New York City area complete with a trip to two historical landmarks — The Statue of Liberty National Monument and Ellis Island. 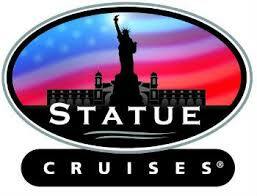 Statue Cruises offers departures throughout the day from both New York and New Jersey for the convenience of out-of-town visitors and local residents alike. Statue Cruises offers a wide range of New York Harbor experiences and Full Boat Charter opportunities including New York Harbor Cruises, Private Charters, Special Event Cruises, and Commuter Ferry Services. Want to learn how your organization can become a sponsor of The Propeller Club? Contact us!